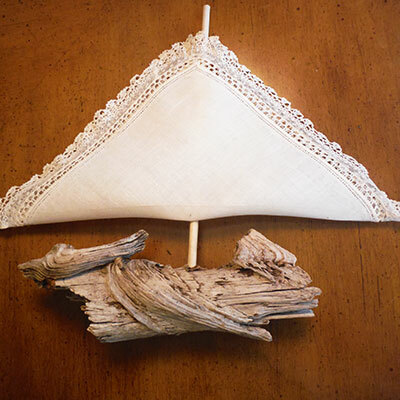 (Reprinted with permission from DIYDriftwood.com) This simple tutorial will show you how to make a Driftwood Sailboat. It’s actually pretty simple and they make really cute and beachy accents to any room where you want to add a beach or natural weathered wood theme. They also look great as a juxtaposition to a sleek and modern room where you want to create some unexpected visual interest. 1. Select your driftwood piece. I glued together these two pieces as I thought the smaller looked great on the nose of the sailboat. You can use a dowel purchased from the hardware store like I did or you can use a driftwood stick. 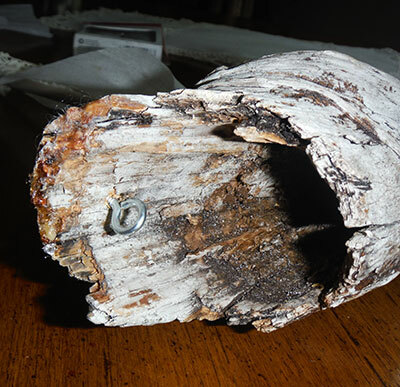 Since my dowel was too pale, I used Driftwood Weathering Wood Finish to get a weathered wood look on the dowel and I also used it to touch up any areas that may have broken off or where I drilled to keep the weathered wood look. 2. 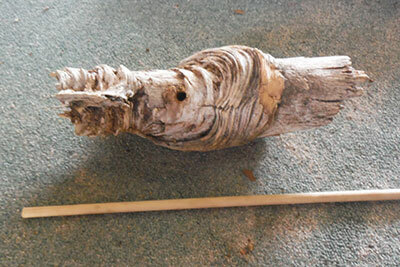 Create Your Driftwood Sailboat Mast. 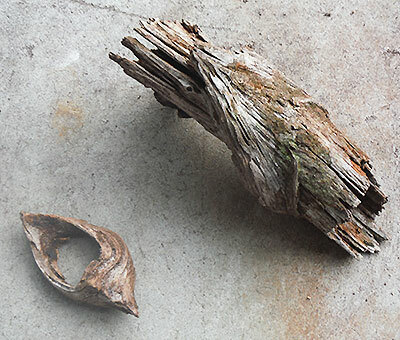 Cut your dowel or driftwood stick to approximately 12″ although this will depend upon the length of your boat base. Use your own discretion as to what looks best. Then drill a hole deep enough in the center of your boat base to hold your mast. Insert your eye screws in the boat base at the front and back. These will be used to hold the sail in place. On my first sailboat, I actually used glue instead and curled the sails before tacking them in place with glue but on the second sailboat I held the sails in place with the embroidery thread and eye screws. 4. Prepare Your Driftwood Sails. Layout your sail and cut it to form two sails. I had discovered an old box filled with and assortment of antique lacy and printed handkerchiefs in the attic which inspired me to do this project. 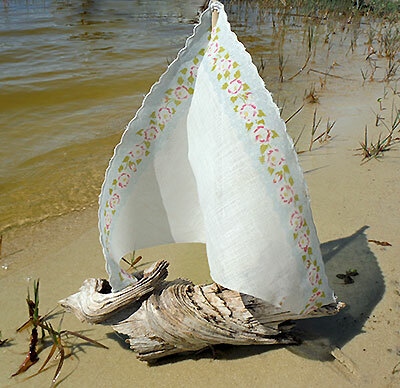 I just thought they would make such pretty sails and a great decorative focal point especially if I made three. Here you can see my dowel piece is still a little bit too long for this handkerchief so I either need to cut it shorter or choose a different handkerchief for the sale. 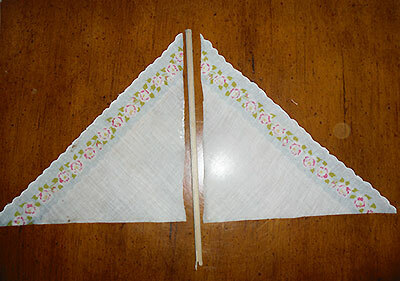 Cut your handkerchief to form two sails. 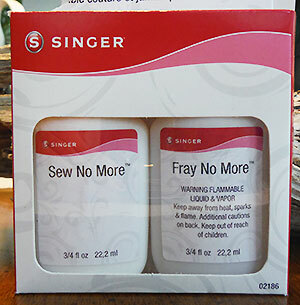 Once you cut your sail, you will want to use “Fray No More” by Singer to stop the edges from fraying. Just run a bit along each cut edge. Glue your mast in place. Use your embroidery thread to attach the sail sections to the mast – first the top and then the bottom. Then attach the sail to the eye screws in the front and back if you want the sail to stay displayed. I also starched the handkerchief so they would be nice and stiff. See how simple that was? Now enjoy your sailboat – heck, make a fleet of them!